Boy body anatomy illustration. Human skeleton, circulatory system, nervous system and digestive systems. Vector set of human internal organs illustrations. Heart, lungs, kidneys, liver, brain, stomach. Smiling characters. 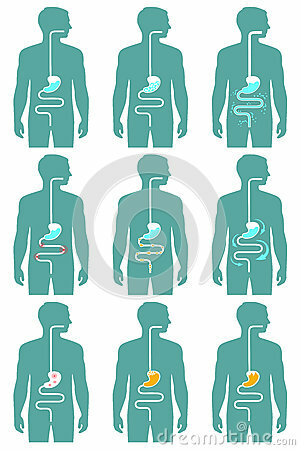 Stomach, human organ line icon.